The International Encyclopedia of Educational Technology presents a comprehensive collection of state-of-the-art reports which cover the whole field of educational technology throughout the world. 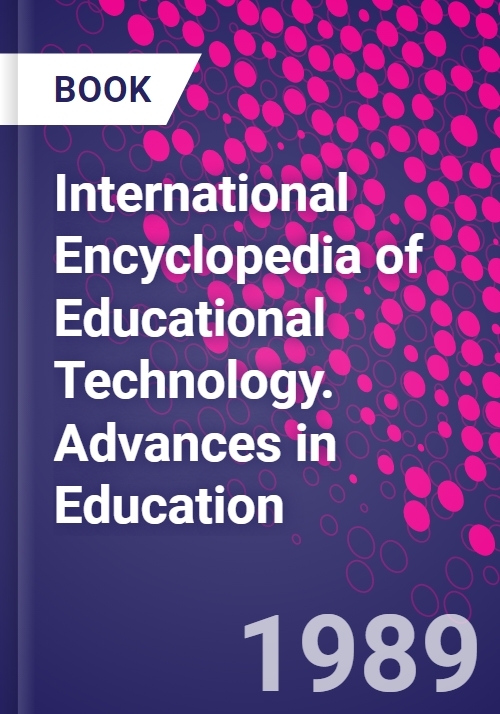 This Encyclopedia consists of articles which have been drawn from The International Encyclopedia of Education, with revisions and updates, as well as new articles specially commissioned to cover recent developments in the field of educational technology. These articles are thematically organized within five interrelated sections, each section having its own introduction outlining the scope and range of ideas and applications covered. Within the sections, extensive coverage is given to conceptual frameworks, technical developments, the design and distribution of instructional resources, the organization and professionalization of educational technology, the potential and impact of new technology, and practical problems of classroom use. This substantial reference work offers authoritative reviews of the field as well as pointing to new directions in educational technology and its applications worldwide. It is envisaged that the Encyclopedia will become an essential part of the education technologist's personal library and an invaluable aid to educational technology students, as well as being of interest to all concerned with contemporary developments in the field. The Encyclopedia contains 130 articles, structured within five main sections to offer comprehensive coverage of the whole field of educational technology woldwide. The broad themes are Educational Technology as a Knowledge Field and Occupation, Technical Developments, Media Potential, Utilization, and Impact, Instructional Development, and the Distribution and Organization of Knowledge and Resources.